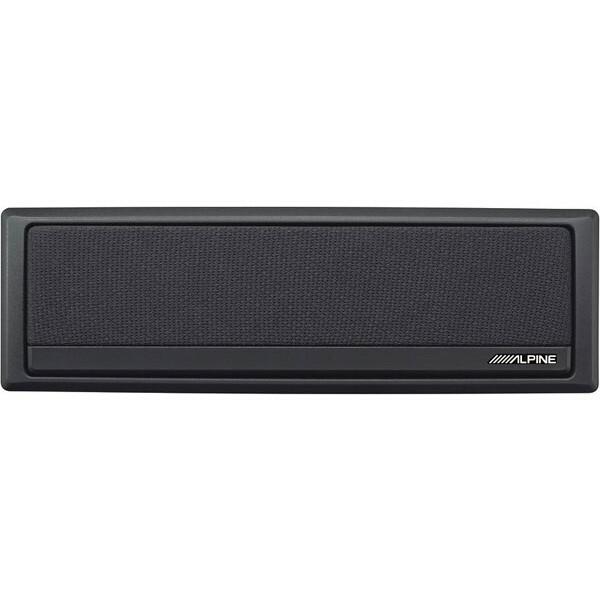 If you're installing a mobile video system in a vehicle with a double-sized stereo opening in the dash, Alpine offers a clever solution with the Alpine SBS-05DC center channel speaker. Two midbass drivers and a soft-dome tweeter are mounted into a 2" tall enclosure that fits in your dash, delivering accurate sound for your multi-channel sound system. Mount the speaker above or below your aftermarket stereo and you'll appreciate crisp, clear movie dialog, enhanced sound effects, and detailed highs. The Alpine SBS-05DC is an vital part of creating a pure 5.1 digital surround system in your vehicle. An installation kit is included.